17 Books Is Too Long For A Love Triangle That Is Going Nowhere. This is it. The 17th book in this series has broken my will to read another book in this series. The love triangle that will never end has killed my book loving soul. 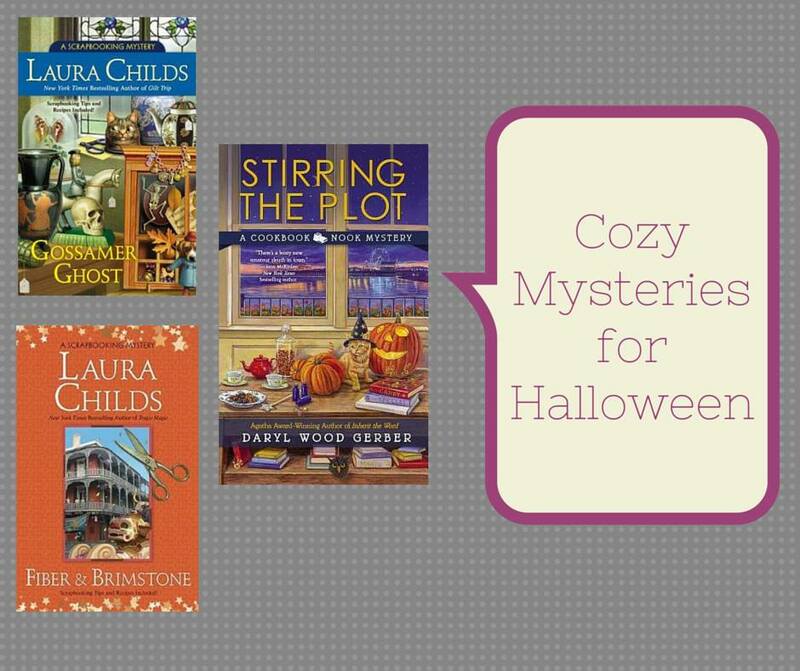 Cozy mysteries are some of my favs to read- they are light, fluffy, dashes of romance and small-towns with interesting characters. They are series, so you, the reader, gets plenty of time to know the characters. That’s the good thing about cozy mysteries. Cozy mysteries deal with s-e-x & romance in variously different ways. Some (Lucy Burdette’s KEY WEST FOOD CRITIC, for example,) the main character is looking for love. Others (Kate Collins’s FLOWER SHOP mysteries- the main character has found love and is married). Different ones have different ways to acknowledge the relationship between a man and woman- some do it with a “wink and nudge”, others are a teensy bit more in your face about it (but never to the point of a 50 Shades situation). Joanne, though, chooses not to acknowledge. At all. Her earlier books had a couple of mentions of some romance- but the past few, she has stalled. The love triangle between Hannah, the main character, and her 2 suitors have cooled considerably. Now it’s like they are all good friends and Hannah occasionally wonders which one is right for her. Lots of readers like the “clean” aspect of Joanne Fluke’s stories and I have to say that is fine with me. But, after 17 books, 17 books in which she is “dating” both the single male characters in this series- it is time. Time to make a choice. Time to pick someone. This carrot of who she will pick has been dangled 1 too many times- and it’s time for an end. Why did I read this last book? I want to see a resolution. I want to feel that my time spent with Hannah was worth something and not fruitless. I’ve been a Hannah fan for some time (but I’ve always given out tough love when it comes to Hannah- see: Joanne Fluke, Hannah Swensen and the “love triangle that needs to end“. 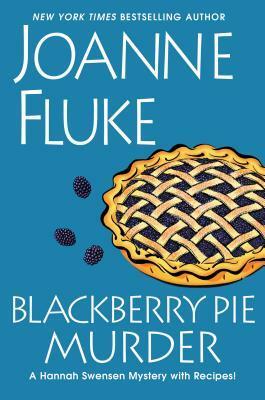 After this last book, BLACKBERRY PIE MURDER, I’m just at the end of the rope. I’m convinced that Joanne Fluke has no intentions of ending the triangle and will continue to write about Hannah, Mike and Norman “dating” for the rest of their lives. Joanne, wherever you are, I hope sincerely that you are reading the reviews of the book, that you are reading the Amazon reviews- not to have your feelings hurt- but to see that there are people out there who really have enjoyed this series in the past and wish that there would be some changes, some fresh air breathed back in the series. Most of us like Hannah and wish to see her grow as a character. How many books do you think is too long for a love triangle? Share your thoughts by commenting! Joanne Fluke was my first introduction to the world of cozy books. I read her 2nd book, Strawberry Shortcake Murder, and thought that it was quite enjoyable- a good town, nice characters, and a heroine who was funny, and charming in her own ways. She was a tad off-beat, not a size 6 and gorgeous character, and smart- something that, at the time, was a bit lacking in characters. As I began to read the first book, and more in the series- I enjoyed Hannah and her family. The escapades, the small-town charms, and her dating life. She begun dating Norman Rhodes, the town dentist, and Mike Kingston, detective on Lake Eden’s police force, early in the series- and has continued to date both of the men throughout the series. Both men proposed to Hannah in Peach Cobbler Murder (the 7th book in the series) and she told them both she wasn’t ready and would let them know who she chooses when she’s ready. We’re now on book 18 and Hannah is still dating both men. This “triangle” was cute for awhile- but 11 books later0 it’s grown beyond old. Beyond. And the romance- well neither romance is hot and heavy. At first, I appreciated that aspect- I don’t want to read a cozy where the “romance” scenes are hot and heavy all the time- I even thought it was refreshing to see a character that wasn’t bed-hopping, or had lewd references all the time. It even made sense for several books- Hannah had been involved in a brief affair with a college TA (with a fiancee) , and was still smarting from being duped by him. But, other cozy mystery writers (see Jenn McKinlay, Denise Swanson, Cleo Coyle) address the issue of romance, without it being lewd and bed-hopping- thus making the romance aspect more believable. Now, I know cozy books usually have recipes mixed in with the plot, that the characters are part of the charm of the cozy world and the crimes are not graphic. This is what I like about the cozy series- but lately, it just seems that besides no movement on the romance front- that Joanne Fluke is more interested in writing a cookbook. So when she did write one- I thought “OK, maybe we’ll cut back just a teeny bit on the recipes”- but no, they have been increasing. Don’t get me wrong- they sound good for the most part. But at times it feels like they are “filler” to meet the quota of pages. In the latest book, Red Velvet Cupcake Murder, the reader saw multiple mentions to the “chase” game that Moishe and Cuddles partake in each time they are together. I understand that for some readers this may have been the first book by her to read- so yes, you’d need to know about the game. But for long time readers, it’s getting old (although not as old as the “triangle”)- However, the ‘chase” game did not need to be mentioned multiple times in the same book. Once was sufficient to let new readers know, and then the continual description of what the cats were doing could have stopped. One might wonder why I keep reading the books- I read for 2 reasons: 1. Even with all the things I don’t care for about the book series now- they still have some good to them. They are like a big sweatshirt- cozy and comfy. and 2. because I want to know how this ends. I’ve invested time in Hannah and I want to see how the series will end. Will ending the triangle breathe life back in this series? I don’t know. Sometimes I think it would. Sometimes, I think the series needs to take a break or end. These used to be pre-order on Amazon books- and now I just check them out from library. Dear readers- what happens when a series you’ve been a faithful reader of starts to falter? Do you continue because you want to know what happens? Stop? Stop buying them and just borrow? January 1. Today is the beginning of Cruisin’ Thru The Cozies Reading Challenge 2013. Listed below is my list of books I plan to read. As I read a book, a review will be posted. I’ll also be posting a round-up of cozies I’ve read thus far in the challenge (it may be monthly, bi-monthly, or quarterly- that is to be determined.) Goal: 13 books to reach Super Sleuth status (although I may read more- time and books available will determine that). Good luck to all who is participating in this reading challenge. Happy Reading! There are 2 Jenn McKinlay books that should both be released in 2013 that I plan to read as well. As the year progresses, I plan to add more to the list- I plan to read a minimum of 13 cozies to meet Super Sleuth for Cruisin’ Thru the Cozies Reading Challenge 2013. While this is in no way a complete list- these are the books I’m currently aware of…..